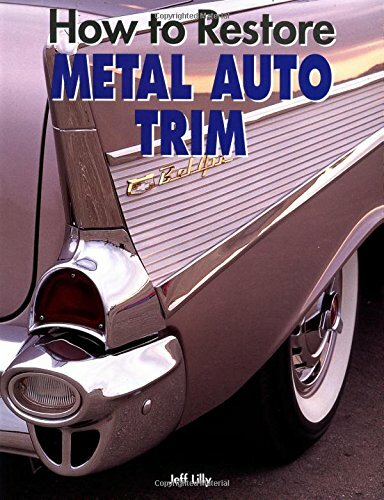 Product Description: Whether youre restoring your vehicle for show or personal enjoyment, this book provides basic, step-by-step information for restoring and repairing metal trim pieces on your vintage car or truck. Plus information on all the necessary tools and materials essential for metal trim work repair, including what youll need, where to purchase items, and how to use the tools and materials. Covers the repair of stainless steel and aluminum trim, including decorative strips, fenders, bumpers, hub caps, wheel covers, and door and trunk handles.